Maharashtra District Court Bharti 2018 →Maharashtra’s All District Court is hire 8921 Vacancies. 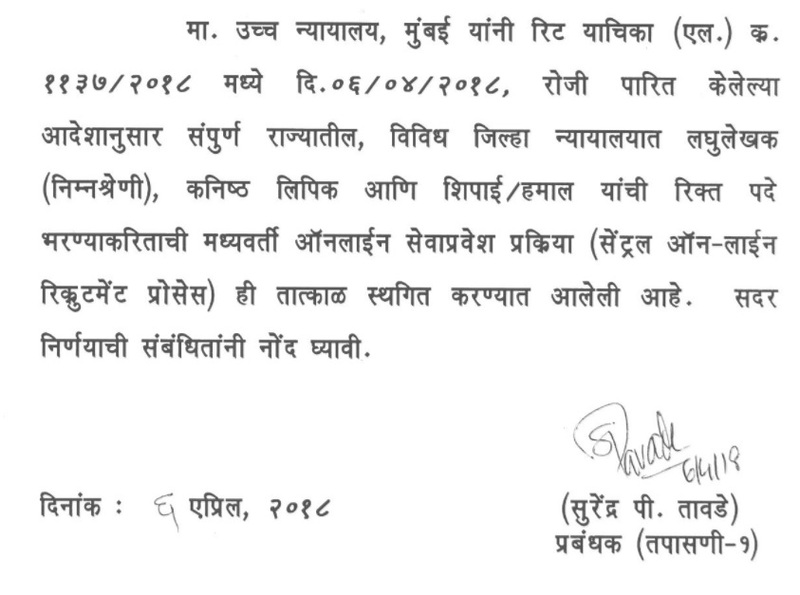 The posts name areStenographer, Lower Division Clerk, Peon/Hamal.Candidate who wants to apply for for Jilha Nyayalay Maharashtra Jobs 2018 can Apply Here. 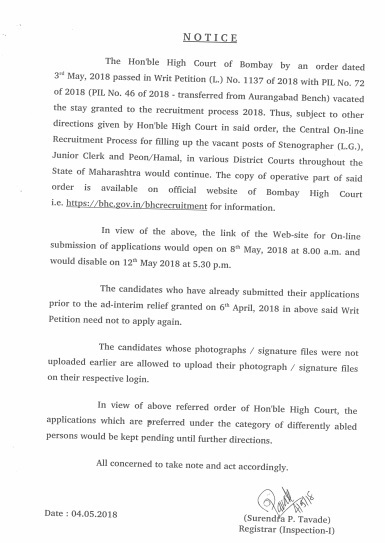 The Details advertisement PDF, Vacancy Details and Other details uploaded now on this page. Online Application will be starts from 28-03-2018. Last date to apply online is 10-04-2018. Posts Name : Stenographer, Lower Division Clerk, Peon/Hamal. Educational Qualification : SSC/7th Class Passed. Job Location : All Over District in Maharashtra. Starting date for filing online: 28th March 2018. Entrance: 21st to 27th April 2018. Screening Test: 06 May 2018. Result of the examination: 10 May 2018. Last date for filing online: 10 April 2018.